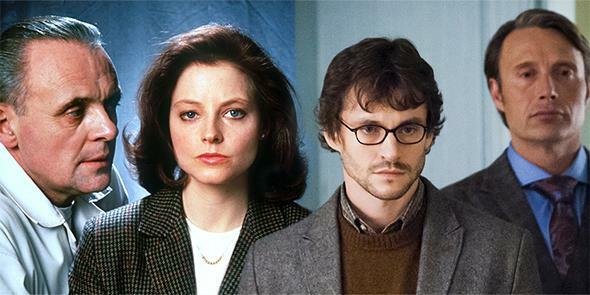 Hannibal on NBC is the best Thomas Harris adaptation to date—better than The Silence of the Lambs. Hannibal on NBC is the best Thomas Harris adaptation to date. The Silence of the Lambs, confined to a big-screen running time, can’t reach the depths plumbed by NBC’s Hannibal. There are five movies based on the fictional world that Thomas Harris, over the course of four novels, has populated with FBI agents, colorful serial killers, and, most importantly, the cannibal psychiatrist Hannibal Lecter. One is a cult classic (Manhunter, based on the novel Red Dragon) and one is a classic classic (The Silence of the Lambs, of course). The other three—Hannibal, Red Dragon, and Hannibal Rising—have very little to recommend them. I have a soft spot for the campy fun of Hannibal, but it’s an awful movie that basically turns Hannibal into a superhero. Red Dragon tells the same story as Manhunter, but the results are not nearly as powerful, mostly because Ed Norton can’t come close to matching William Petersen’s haunted Will Graham. Hannibal Rising is a nauseating mess that proves no one needed to see Hannibal’s origin story. It’s basically the second Star Wars trilogy of thrillers. The NBC series Hannibal, the second season of which premieres this Friday, surely arose from the same motivation that spawned the regrettable post-Silence movies: a money-grubbing yearning to milk Hannibal Lecter for all he’s worth. Yet somehow it has become an engrossing, psychologically dense show that is also visually stunning. Hannibal is the kind of gem seldom found on network TV. It’s more than that, even: It’s the best version of Thomas Harris’ work yet—yes, even better than Manhunter and The Silence of the Lambs. How is this possible? It probably helps that the show is also the loosest adaptation of Harris’ work so far. Rather than adapt one of the Lecter novels, Hannibal is inspired by events mentioned but not depicted in Red Dragon—specifically, the time before Hannibal was caught, when Will Graham was an active FBI profiler. Avoiding the all-too-familiar Hannibal-in-prison scenario and expanding on intriguing, unexplored events, the show manages to nail the best qualities of Harris’ work: the psychological nuance, the beautiful horror, and the black, black comedy. The show’s pre-Red Dragon setting is crucial, as it provides the series with its chief asset: FBI profiler Will Graham, played heartbreakingly by Hugh Dancy. Will is a more interesting protagonist than Clarice Starling—or, for that matter, Will Graham in Manhunter. Clarice, while memorably brought to life by Jodie Foster, is too purely good to be all that engaging as a character. Will, on the other hand, the man who eventually catches Hannibal, is as complex as Hannibal himself. He’s also as dark as you can probably get without actually becoming a serial killer. The Will/Hannibal dynamic is not the only interesting relationship on the series. Jack forms a bizarre triangle with the central twosome, an awkward state of affairs made highly watchable thanks to Fishburne’s understated performance. And the conversations between Hannibal and his own psychiatrist, Dr. Bedelia Du Maurier—played with icy cool by Gillian Anderson—nearly steal the show: On the couch talking to Du Maurier, Hannibal offers manipulations wrapped in honesty wrapped in more manipulations. What about Hannibal himself? I won’t say that Mads Mikkelsen is better than Anthony Hopkins in the role. But he is subtler, letting the audience’s knowledge of the character fill in the blanks that he sometimes gives us, and relishing the character’s life as a doctor, cook, and—much to his own surprise—friend. Showrunner Bryan Fuller has compared Hannibal to Frasier Crane, which helps explain why these great FBI minds don’t suspect what’s in Hannibal’s meals. (Which are, like everything on the show, gorgeous—the show is a foodie’s dream. It’s also a dream analyst’s dream, with its mind-shaking visuals and Lynchian strangeness.) Mikkelsen has rescued Lecter from the hamminess of Anthony Hopkins’ post-Silence performances, proving that it is possible to consume larger servings of the man without ruining the not-so-good doctor. It doesn’t hurt that this version of Lecter is new and fresh: He’s a practicing psychiatrist, a practicing cannibal, a prolific serial killer, and the most popular dinner party host in town. This is a Hannibal we’ve never seen before, and it’s a treat. Naturally, Hannibal isn’t perfect. As is too often the case, the female characters are less developed than the men, with the exception of Anderson’s Du Maurier. Dr. Alana Bloom (Caroline Dhavernas) is a conflicted friend/love interest for Will, but so far the show’s writers seem more confused than the character. Dhavernas has shown she has real acting chops, so I’m optimistic that Bloom will become more vital and necessary in the new season. Tabloid writer Freddie Lounds (Lara Jean Chorostecki) is one-note, but she has shown some potential to be more. It would also be nice to see more of Jack Crawford’s wife, Phyllis, played by the terrific Gina Torres. Male-centrism aside, Hannibal, in addition to improving on Silence and Manhunter, also has one up on most TV dramas, for a simple and refreshing reason: The ending is not in doubt. We don’t have to wonder whether Hannibal will go to jail, die, or suffer some less predictable end. We know exactly where he’s headed: Dr. Chilton’s asylum, so he can exchange pleasantries with Clarice. And we don’t have to wonder what will happen to Will either: He’s going to catch Hannibal. (There is talk that the show might eventually adapt the events of Red Dragon and even Silence, but we know how they end, too.) Without incessant finale speculation, it’s easier to enjoy every minute along the way. I wish more TV shows would find a way around finale anxiety. Hannibal dodges it completely. And with that bullet dodged, we shouldn’t be surprised to see Thomas Harris’ ideas shine brighter on the small screen. In the post-Sopranos age, it is probably easier to successfully adapt novels—even as freely as Hannibal does—on the small screen. Their details can be more patiently unfolded over numerous episodes, rather than condensed into two hours or so. It has become a cliché to say that prestige dramas are novelistic, but it’s true: The episodes are like chapters, and there’s plenty of room for minor characters. With that in mind, it was probably just a matter of time before a TV version of Thomas Harris surpassed the cinematic creations, however good they were.